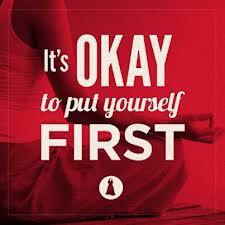 An essential imperative of caregiving is: Take care of yourself. However; the majority of family caregivers are so busy taking care of others that they neglect to care for themselves. The sad irony is that if caregivers made it a priority to care for themselves FIRST they would actually have MORE energy to help others and therefore be more available to help those around them. Caregivers are in worse health. 11% caregivers report that their physical health has gotten worse. Caregivers reported chronic conditions (including heart attack/heart disease, cancer, diabetes and arthritis) at nearly twice the rate of non-caregivers (45 vs. 24%). Caregivers suffer from increased rates of physical ailments (including acid reflux, headaches, and pain/aching), increased tendency to develop serious illness and have high levels of obesity. Caregivers have diminished immune response, which leads to frequent infection and increased risk of cancers. Caregivers exhibit exaggerated cardiovascular responses to stressful conditions putting them at greater risk for cardiovascular syndromes such as high blood pressure or heart disease. Women who spend nine or more hours a week caring for an ill or disabled spouse increase their risk of heart disease two-fold. Women caregivers are twice as likely not to fill a personal prescription because of the cost (26% vs. 13%). 72% of caregivers reported that they had not gone to the doctor as often as they should, and more than half (55%) had missed doctor’s appointments. Elderly spousal caregivers (aged 66-96) have a 63% higher death rate than non-caregivers of the same age. In 2006, hospitalization of an elderly spouse was found to be associated with an increased risk of caregiver death. Enlist family support – share with your spouse, kids and other family and friends that your scheduled time needs to be respected and supported. Set boundaries – this can include scheduled visiting days/times with your elderly loved one (not every day), specific days of the week that the kids can have their friends over or go to a friend’s house. Schedule a physical – this should be done ANNUALLY. There are no ifs, ands or buts about it! Here’s the good news – if you make self-care a priority, create a support system and set boundaries you can be healthier, happier and live longer. Pro-active and preventative health measures are vital to helping those you love, because if you don’t take care of yourself, sooner rather than later, you wont be around to help those you love. ****A portion of my book sale proceeds go to support breast cancer research. This entry was posted in caregiving, disabilities, dying, eldercare, encouragement, healthy living, sandwich generation, work/life/flex, working caregiver and tagged aging, caregiving, depression, disabilities, dying, eldercare, encouragement, family caregiver alliance, health, Healthcare, healthy living, priorities, sandwich generation, self-care, work/life/flex, working caregiver. Bookmark the permalink.